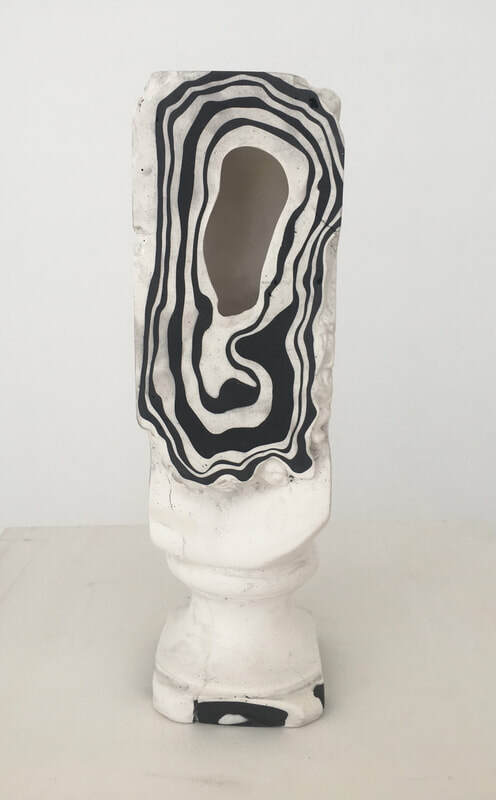 On the occasion of DC Open, under the title of That’s The Way (I Like It), the Galerie Clara Maria Sels will be showing new works by the Belgian artist Michaël Aerts (*1979, Ghent). In his works Aerts concerns himself with the contents of and reflections on the cultural history of Europe and other continents. Architecture and art from the Middle Ages to the present day are specific sources of inspiration for the artist. He playfully transports memory and knowledge into the present. Aerts became known for his obelisks constructed out of flight cases. The Belgian royal family commissioned the artist to erect one of these obelisks in the royal garden in front of the palace. 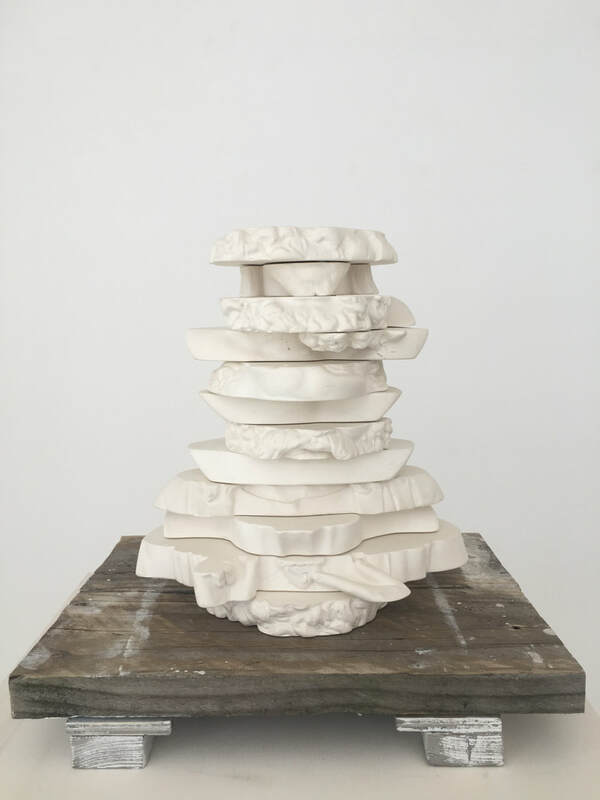 In his newest works, under the title of That’s The Way (I Like It), Michaël Aerts will be showing plaster busts that he has dissected into layers, rearranged and stacked on top of one another. For thousands of years people have been creating busts, mostly of personalities who have shaped society such as, for example, politicians, writers and philosophers. The heads that are depicted embody not only the people behind the busts but also their ideas and thoughts, which were characteristic of the period. Therefore, the busts have also become transcendental objects. Part of the exhibition shows plaster busts in different stages of deconstruction. While the classical format of the bust has been taken up, nevertheless, it has also been broken up again. 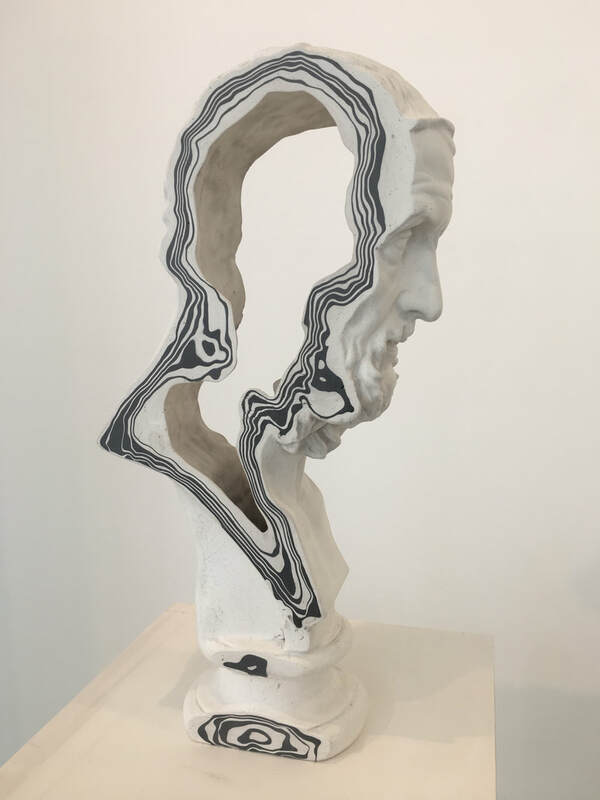 The portrait of a western philosopher has been cast as a plaster bust in different layers of alternating white and dark grey. Aerts has cut through some busts while others have been sawn up into several thin flat pieces - a procedure that draws parallels with the current approach to 3D models and 3D printers. 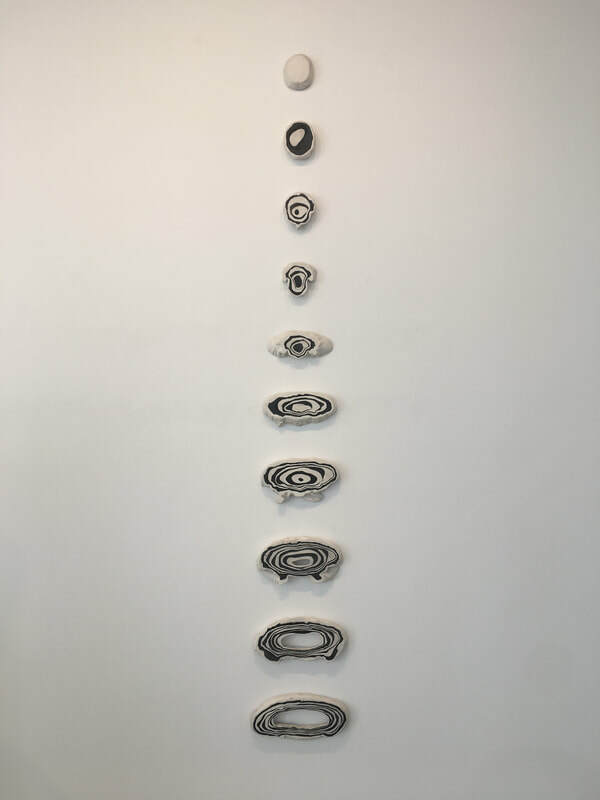 The alternating colouring in the plaster layers on the ‘Slices’ that emerges in this way is reminiscent of a tree's annual growth rings and is a reference to the sedimentary layers from centuries of western history. Plaster has been used in sculpture for five thousand years and, in terms of historico-cultural developments, it is believed to be one of the oldest materials used for reproductions. The sculptures can be read and understood on various levels. Initially, they appear to be abstract, yet by looking more closely you can also discover odd details of a face in their exterior forms. 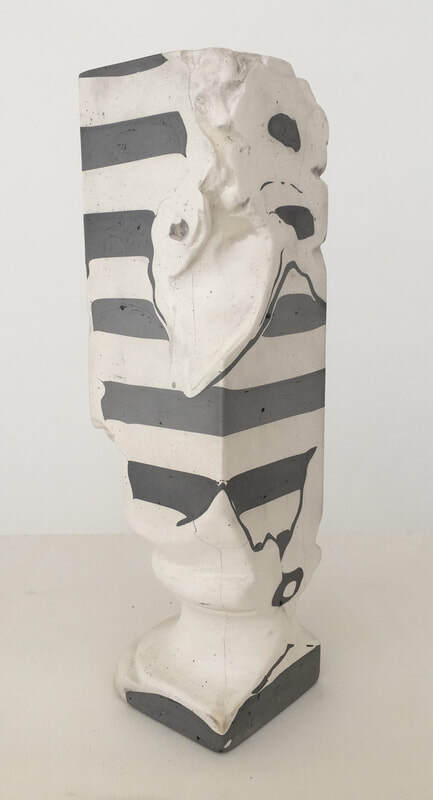 In the ‘STACKS‘ series, Aerts has arranged sawn slices of concrete or plaster on top of one another – he has built a tower, a stack, a sort of totem. The worldwide cultural legacy in the form of sculptures and monuments was literally sawn into thin flat pieces, which the artist subsequently used as building blocks for new sculptures. The theme of the tower has been taken up in another series of monuments of alternating light and dark layers of plaster. Building towers is something that is inherent in human nature and has been practised in all countries and cultures for millennia. Yet, for Aerts the tower is also a symbol for the diversity of the present-day population, which is made up of the influences from different places and cultures.